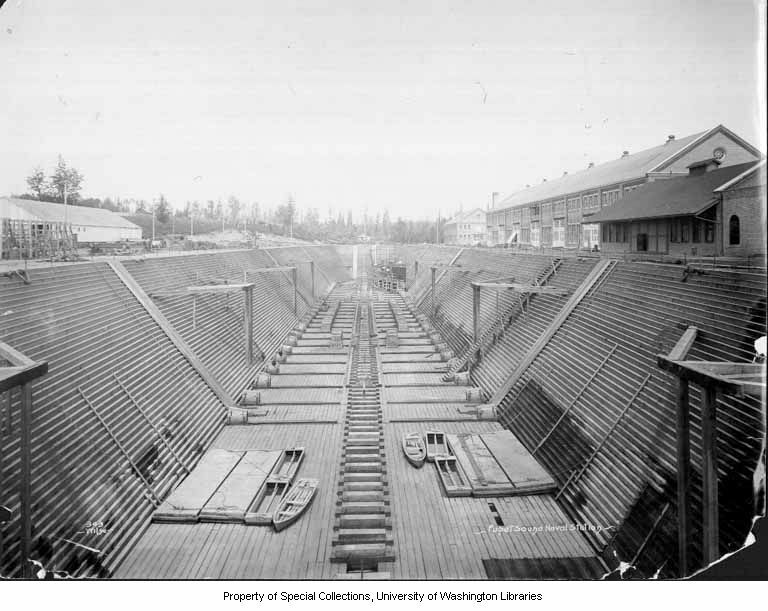 This is a sample of historical photographs in the University of Washington Digital Collections. 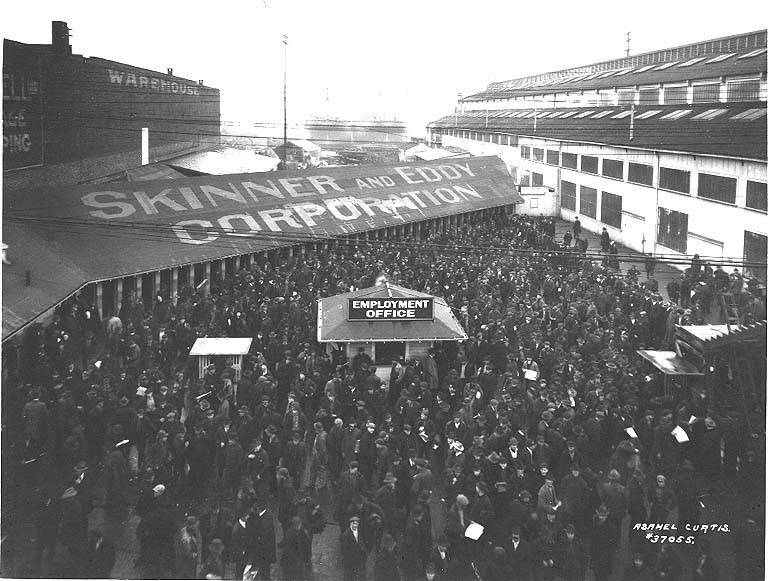 Enter the search terms "ship building" or "ship yards"
Ship building has a long history in the Pacific Northwest. 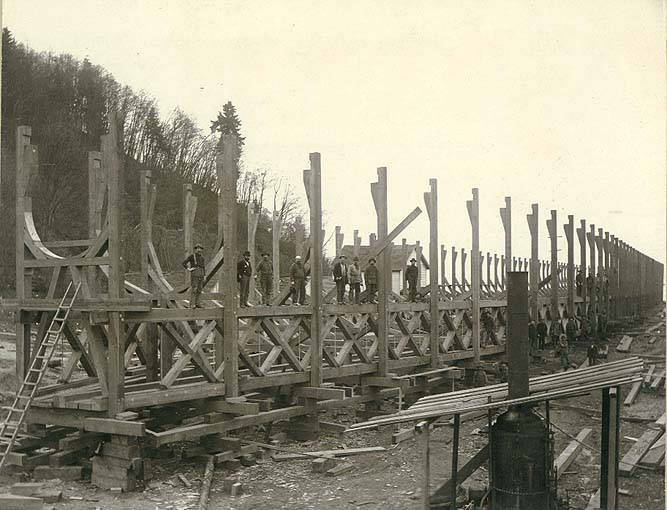 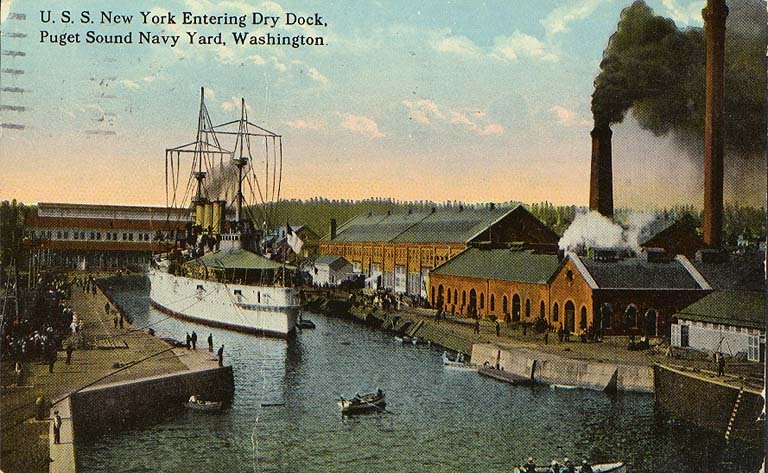 Not long after the United States began to occupy the region, skilled ship builders arrived to repair and outfit the ocean going vessels that were the life blood of Oregon and the Washington territory. 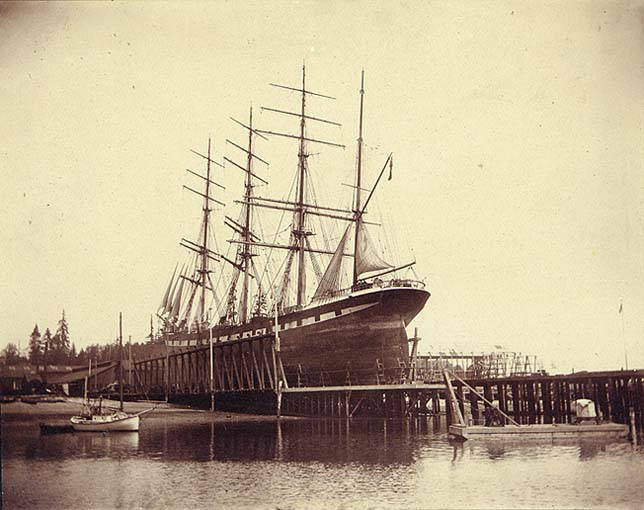 As lumber and fishing industries emerged, each dependent upon California and transPacific markets, small shipyards were established near Portland, Tacoma, and Seattle to build the region's growing fleet of schooners and small craft.